What do consumers in Colombia purchase and how do they do purchase it? Product categories containing the highest level of consumed products that particularly stand out include fashion, electronics and beauty, where half of the consumers also shop online. Presenting e-commerce Challenges in Colombia, developed by The Cocktail. A detailed market analysis of 31 million Internet users, with a smartphone penetration of 89%, defined by the challenging growth of e-commerce. The study reveals various consumer features and their online shopping experiences, such as: demographic profiles, shopper profile attitudes, consumption habits and main motivations and barriers to accessing shopping. 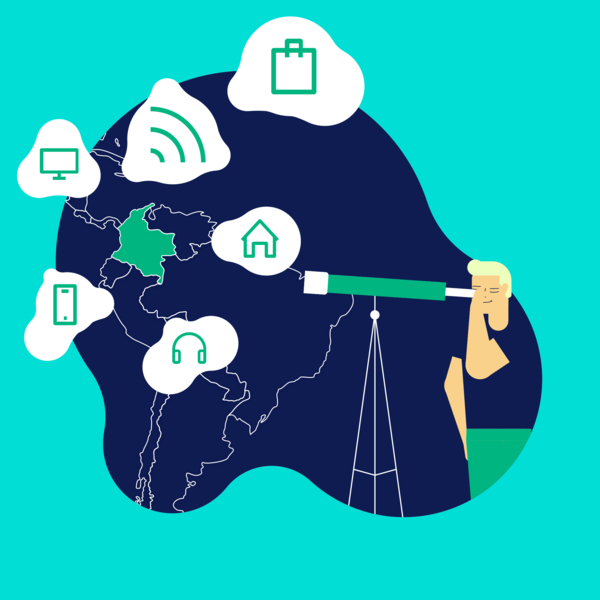 In this third wave of our study, data compiled within the main conclusions demonstrate that, in only 5 years, online shoppers in Colombia have gone from 52% to 85% in 2018, obtaining sustained growth throughout the years. Moreover, the average age of the online shopper is 35, regardless of gender, and encompassing all social classes. It’s an indication as to how barriers are being taken down regarding socio-economic strata and age. Product categories containing the highest level of consumed products that particularly stand out include fashion, electronics and beauty, where half of the consumers also shop online. For their part, Services that are consumed the most are: urban transport, food delivery and travel. Additionally, the acceptance of various payment methods is one of the most highly valued factors when it comes to online shopping in the South American country. Businesses in Colombia are now beginning to understand this environment, discovering tremendous growth opportunities. Adapting organizations to new ways of shopping, relying on the most relevant client KPI’s and a flexible, efficient infrastructure are the keys to short-term success. Juan José Uribe, Managing Director Latam at The Cocktail. This data, as well as other, help companies build a user journey experience, allowing them to understand consumers’ perspectives, as well as delving further into brand experiences, thus improving the multiple contact points that exist within the various purchasing phases: before, during and after. If you’d like to find out more, you can read the entire study.